Is there a better alternative to Server Status Monitor? Is Server Status Monitor really the best app in Network category? Will Server Status Monitor work good on macOS 10.13.4? 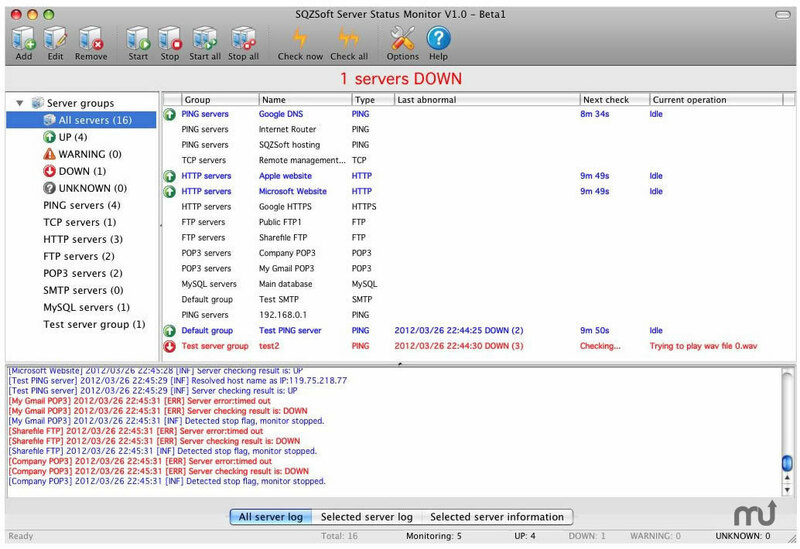 Server Status Monitor is a cross-platform monitoring program which can monitor multiple servers and give you notifications when the servers are down. Free during beta period (pricing to be finalized). Server Status Monitor needs a review. Be the first to review this app and get the discussion started!